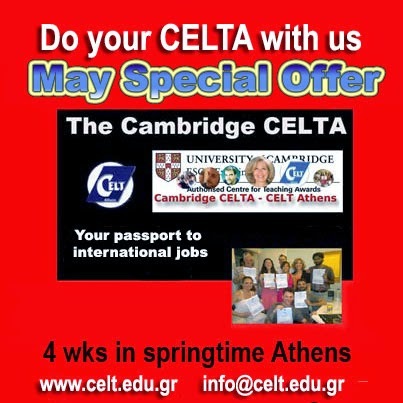 The Cambridge CELTA course is, probably, the most popular, the best know TEFL/TESOL qualification on the globe with candidates from all countries and nationalities seeking to qualify through it. May is a great time of the year to follow it as it may give you the opportunity to find a summer job in the UK where many of our candidates work each year – it’s a great experience and a fantastic opportunity to work in a professional environment where professional training is appreciated and paid for appropriately!!!! You can follow this course any time of the year – for more, please check our dates on the link below. Our TEFL Course dates at a Glance! N.B. This offer is only good for our May course and tuition cannot be transferred to a later course.